How to calculate dates difference? 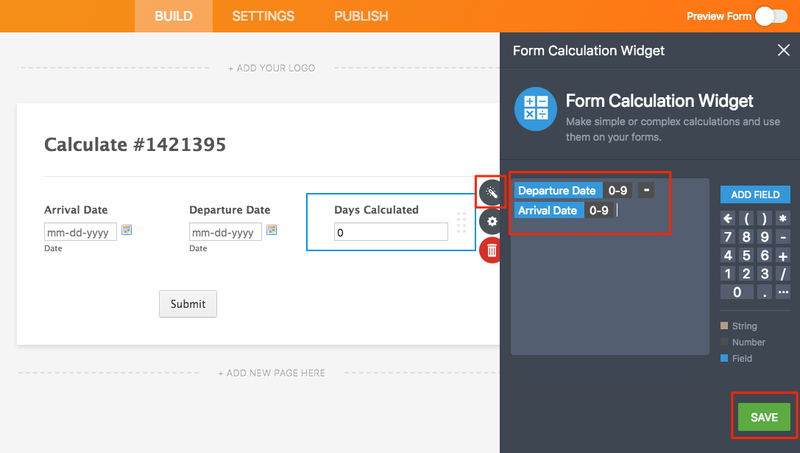 You can achieve this using the Form Calculation Widget. 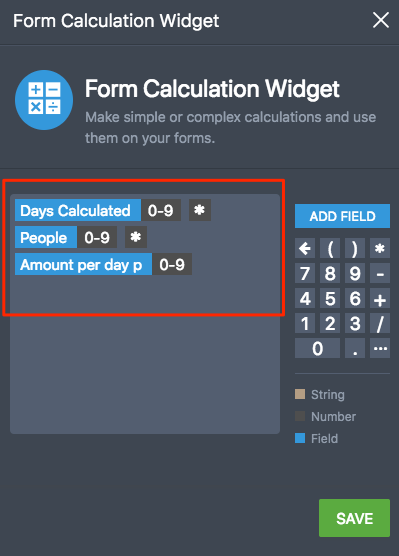 You can calculate the dates difference by subtracting the fields in the Form Calculation Widget. 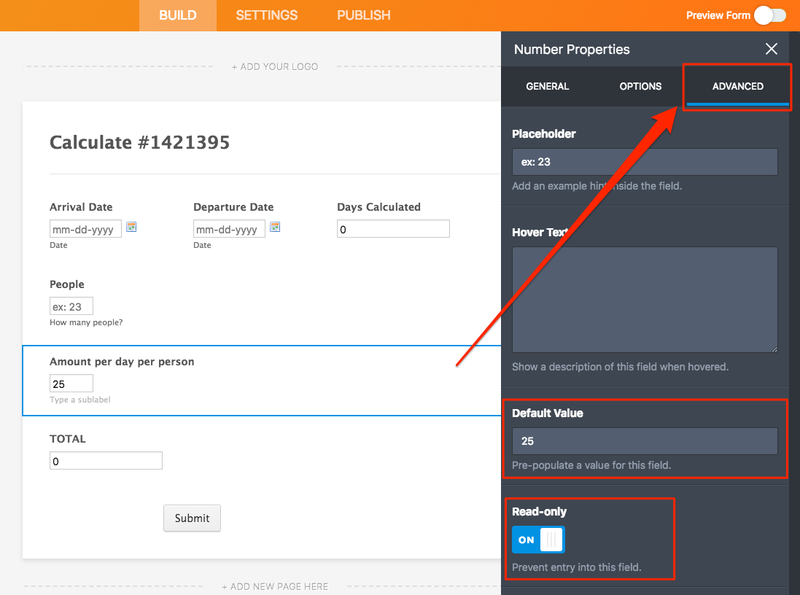 For the amount per day per person, you can use a number field, set a default value, and make it read-only. This field is not really needed but it is easier to change the calculation if this amount ever changes. You also need a field for the number of people. 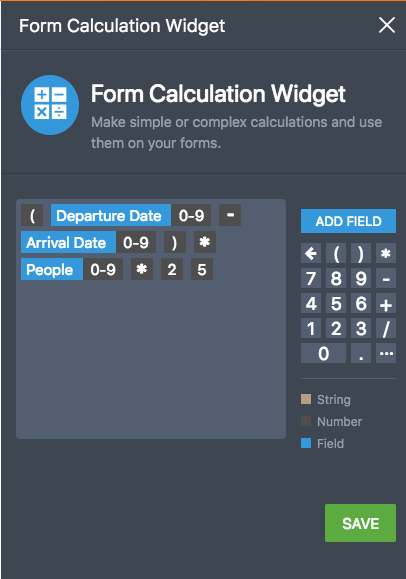 Then, you multiply all of them using the Form Calculation Widget again. This can, of course, be done without the extra calculation of the dates difference in another field and without the amount per day field. Feel free to clone my form and adjust it to your needs.